In 2009 the Bündner Kunstmuseum Chur (Museum of Art of the Grisons) in Switzerland purchased a collection of photographs of and drawings by Alberto Giacometti (1901–66). The collection includes around one hundred photographs and a number of drawings, the majority of which have never before been published and are previously unseen. 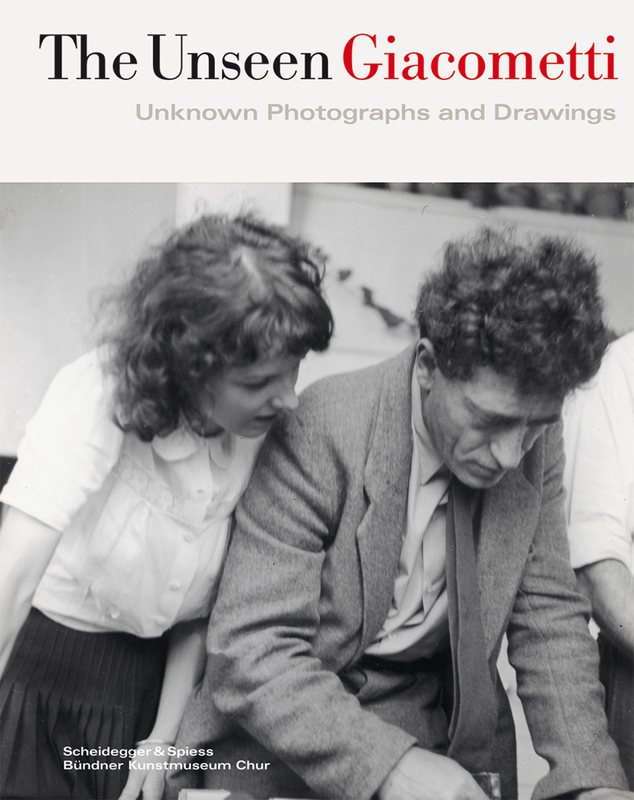 Taken by such celebrated photographers as May Ray, Henri Cartier Bresson, and Cecil Beaton, the photographs show Giacometti as a young artist bursting with energy during his first stay in Paris; at work at his legendary studios in Paris and his native Val Bregaglia in Switzerland; lighthearted in the company of his wife, Annette, or in discussion with friends; posing with his sculptures; and in silent dialogue with his models. The drawings are mainly sketches on pages from newspapers and magazines. The entire collection, along with the analyses and commentary presented here, greatly enriches our understanding of Alberto Giacometti as both an artist and a person.